It is exciting to get a shiny new camera. Like most electronics, they start out looking very nice and functioning well, but a camera used for birding is going to start getting a bit banged up. Sometimes the damage is just cosmetic and so not really important, but sometimes things break and have to be repaired. What do you do when your camera breaks? I spend a lot of time on my back step watching backyard birds. It’s a nice covered spot that gives me a good view but spooks the birds less than if I were watching from a more exposed vantage point. Unfortunately though, the step itself is brick and cinderblock and the sidewalk just beyond it is cement. I tend to go outside juggling my binoculars, camera, laptop computer, cell phone, various cords, a cushion and a drink. 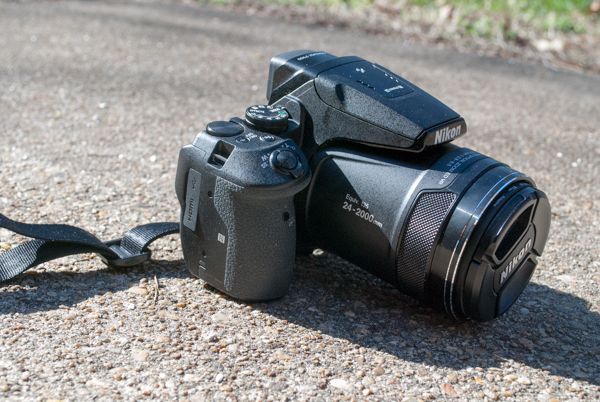 When I dropped my Nikon Coolpix camera on the cement last fall, I cringed. But examining the camera, I thought I had actually gotten lucky. One part of the front edge of the lens part of the camera took the fall. It resulted in a small ding on the metal surrounding the lens glass and a tiny little chip on the very edge of the lens. The chip of glass seemed to be broken away from the lens but stuck in place. With the chip way over to the side, the camera still worked just fine and the chip didn’t show up in photos. There was no way for me to get at that bit of glass because it was inside the lens, but it wasn’t causing problems so I didn’t worry about it. That changed partway through our trip to Mexico in November when the chip suddenly worked itself loose and promptly re-stuck itself near the middle of the lens causing a blurred spot in photos. Sigh. So once I got home, I had to decide whether to get the camera fixed or call it a loss and get a new camera. You might think that the obvious answer to a tiny chip would be to get it fixed, but it wasn’t that simple. Researching the problem, I couldn’t find an authorized repair place that could fix my camera locally, so I would need to ship it off. Authorized Photo Service (APS) in Chicago got good reviews online, so I decided to try them. Talking with them on the phone, they said they couldn’t give me a estimate on the cost without seeing the camera. I needed to send it to them. Sending the camera from Maryland to Chicago via UPS cost me $18. I still had my original product box, so I packed it in that and put that box inside a slightly bigger box, well padded, for shipping. I filled out and printed a repair authorization form available on their website and included it in the box. Then I dropped it off at the UPS store with fingers crossed. It only took two days to get to Chicago. APS emailed me their repair estimate the next day. They told me that the inner lens elements and zoom mechanism needed to be replaced and then the auto focus and synchronization needed to be adjusted for $350 plus $18 return shipping. Ouch! I really had to think about this one. The camera was selling for around $580 online at the time, so spending that much money to repair it caused me pause. But poking around online to see what cameras were available in my price range that fit my bird photography needs, I realized that the Coolpix is still the best fit for me. So I could spend $350 to fix it or $580 to replace it with the same thing. So a few days later, I told them to go ahead and fix it. About a week later, my camera was on its way back to me, working as good as new. 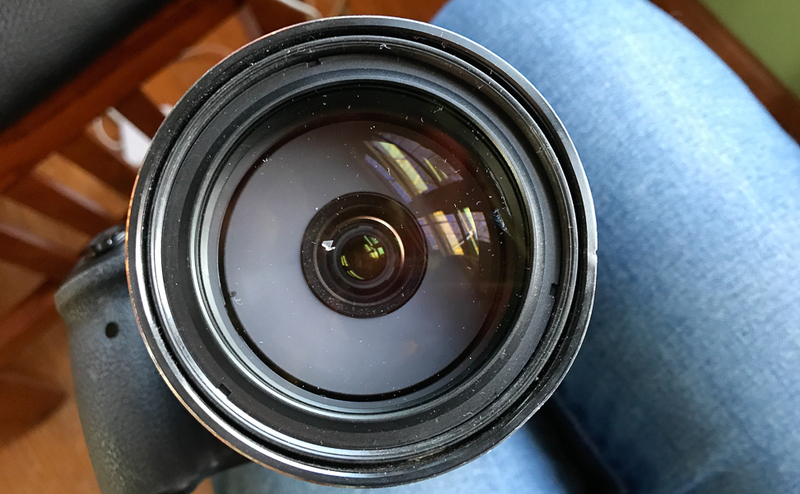 There is still a ding in the metal next to the lens but that is just cosmetic. The lens itself is great and the camera works well. Not surprisingly, I did need to go through and reestablish all my settings for bird photography, but that just took a little while and then I was taking pictures again. APS specializes in repairing Nikon products, so they aren’t the folks to send your camera to if you have a different brand. My experience with them was very positive. They were a little hard to get to on the phone at times (although it was during a holiday time of year), but I found them to be very helpful once you were talking with them and patient with questions. They got me an estimate quickly and repaired it quickly. Almost four months later, the camera is still working great. That said, I hope you never drop your camera on cement!